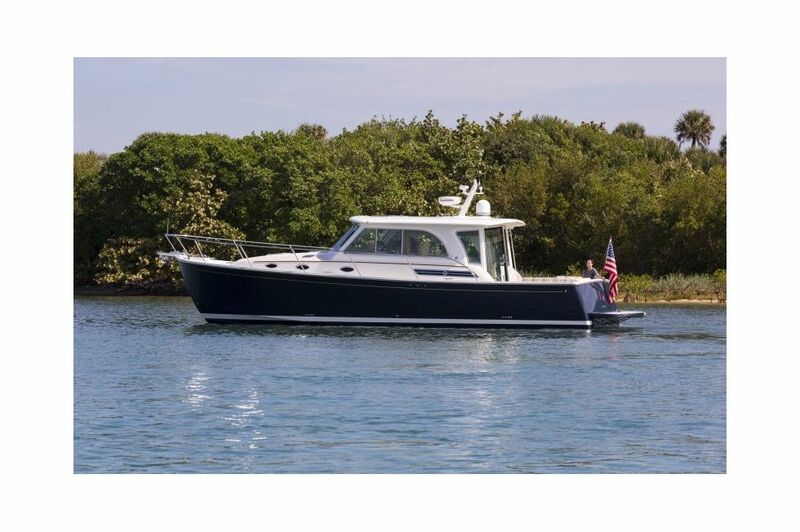 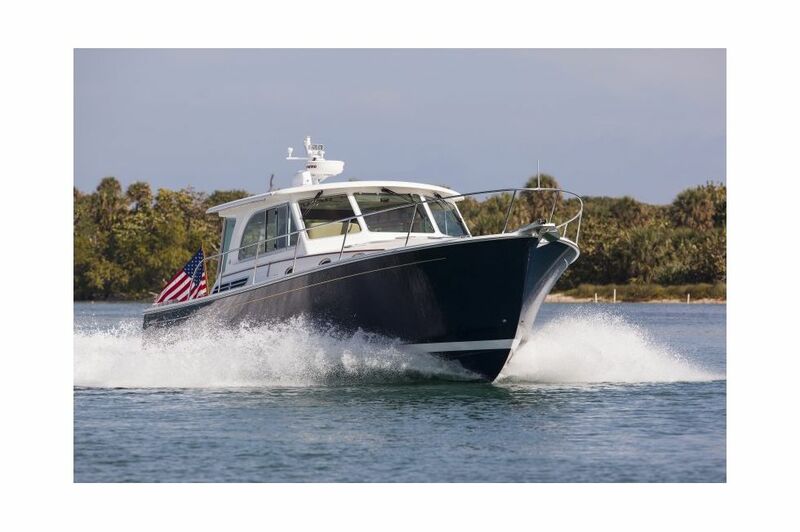 The Back Cove 41 is the perfect choice for serious cruisers. 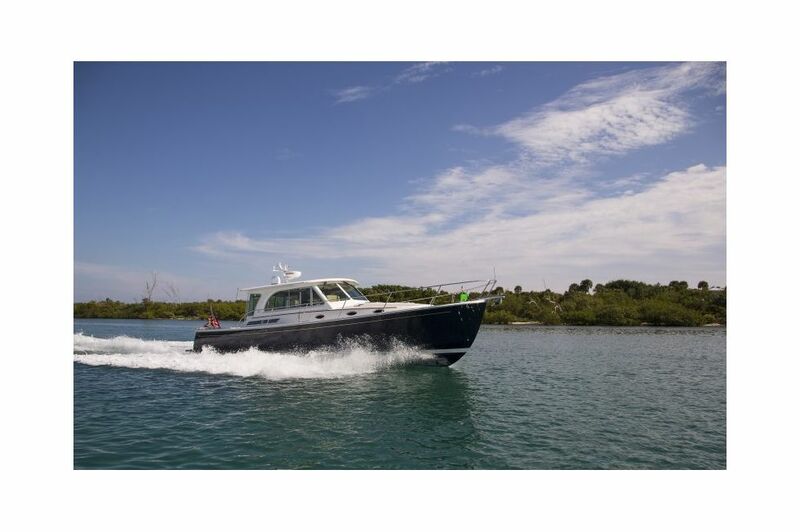 The flagship of the Back Cove fleet, the Back Cove 41 is fitted with an efficient single diesel engine and straight shaft. 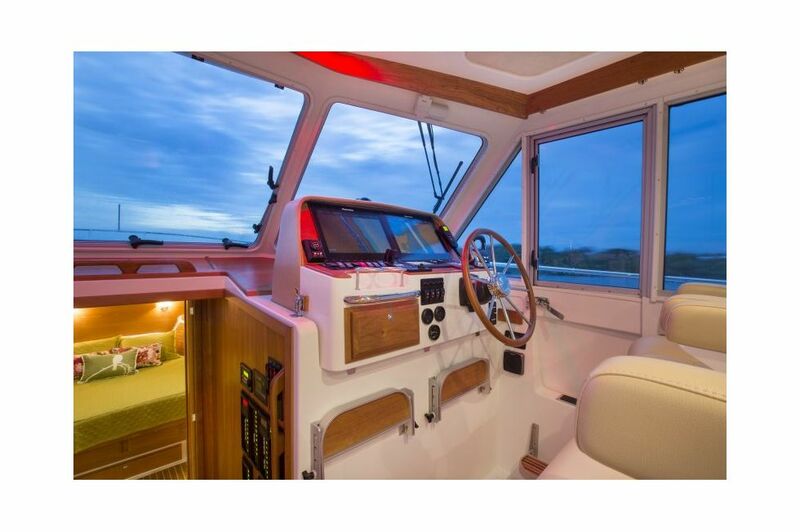 The addition of thrusters, a generator set, and reverse cycle heat and air conditioning systems make her maneuverable, efficient, and comfortable. 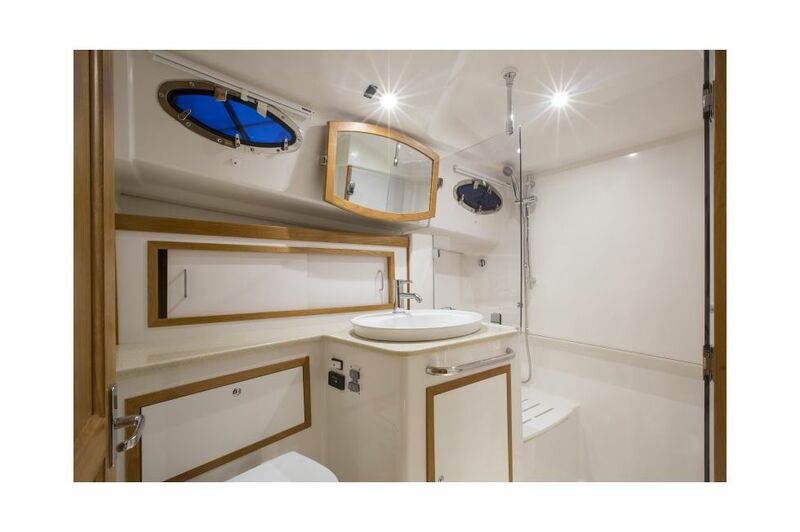 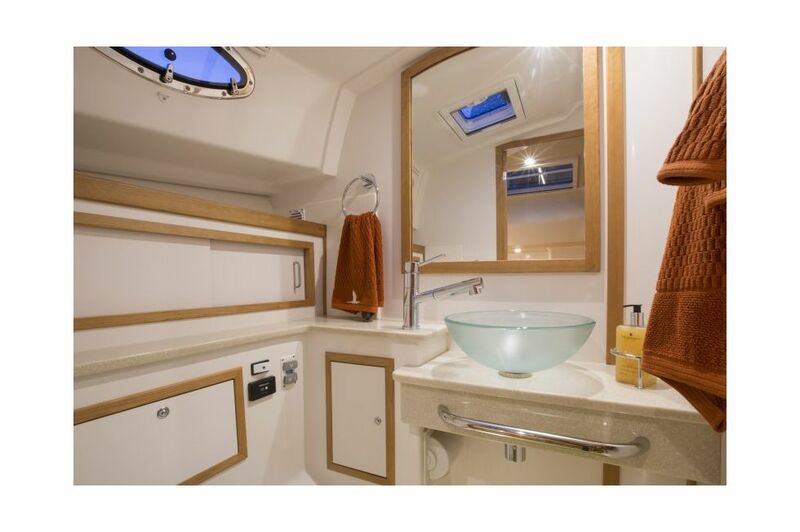 Her interior is balanced between two luxurious staterooms, each with a private head. 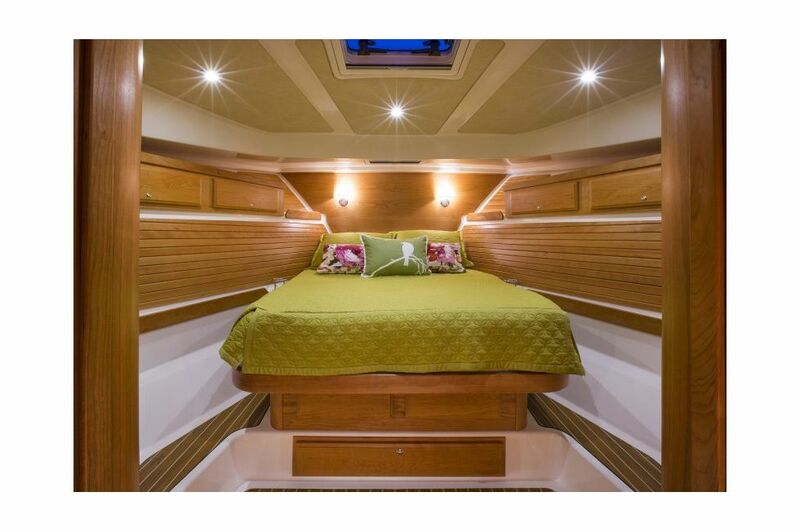 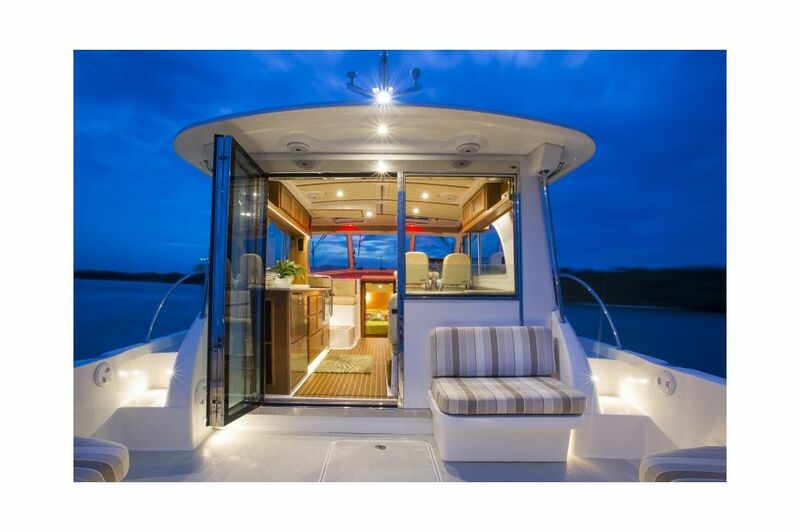 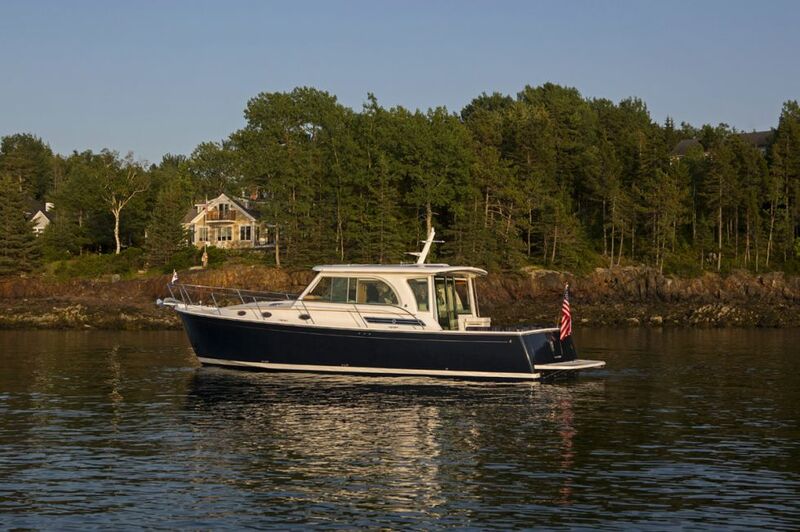 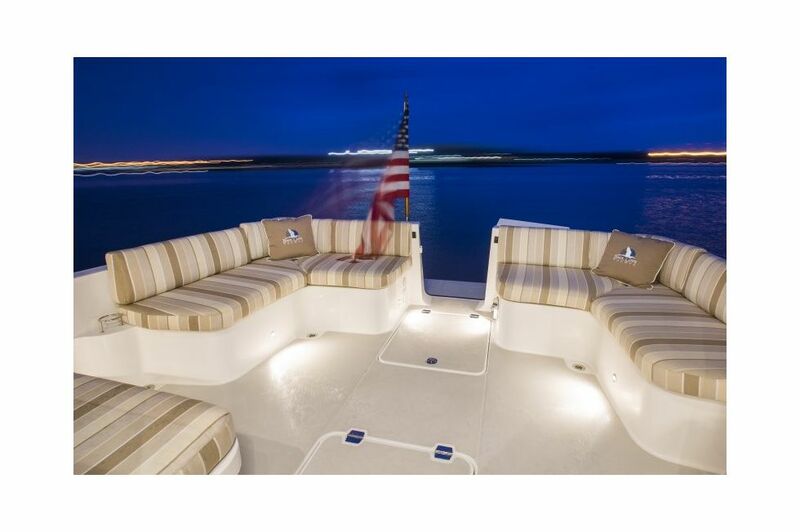 Nautically sensible details and Maine craftsmanship can be found throughout her American cherry interior. 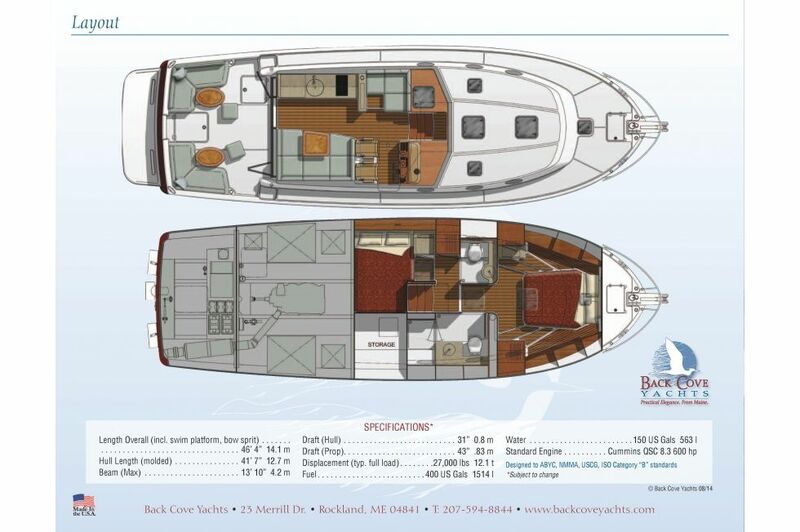 On the main deck, a centralized galley serves the open air cockpit as easily as the salon. 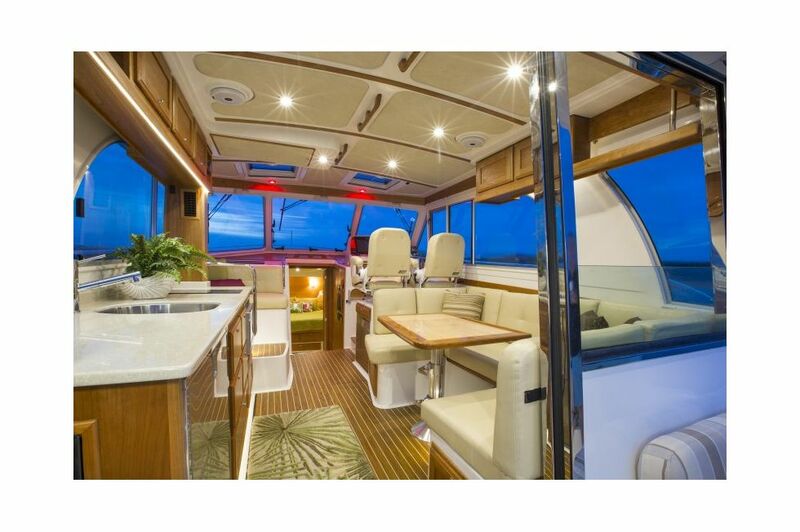 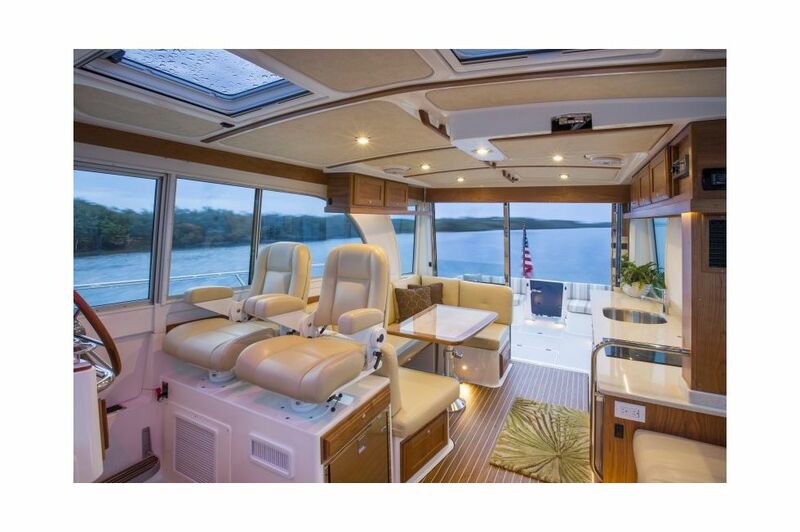 Long range cruisers will appreciate the dual stainless steel refrigerator drawers, freezer mounted below the helm seat, ceramic cooktop, and convection microwave. 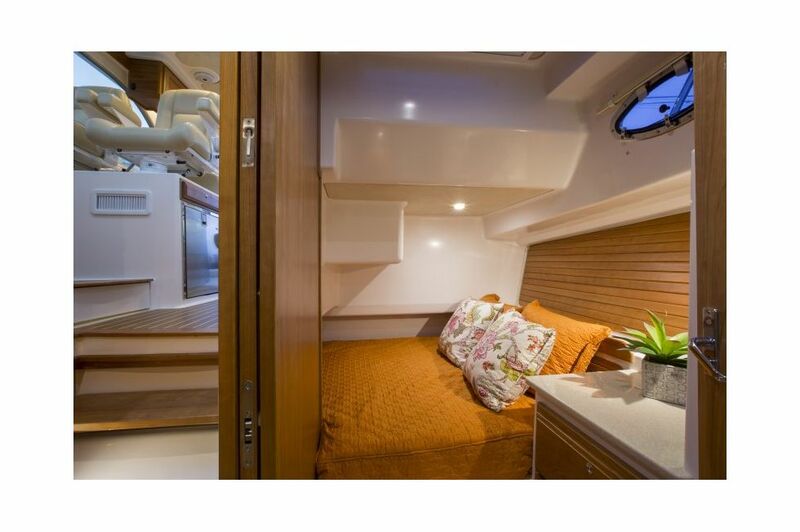 To starboard, her U-shaped settee converts to a comfortable dinette while enjoying meals on board. 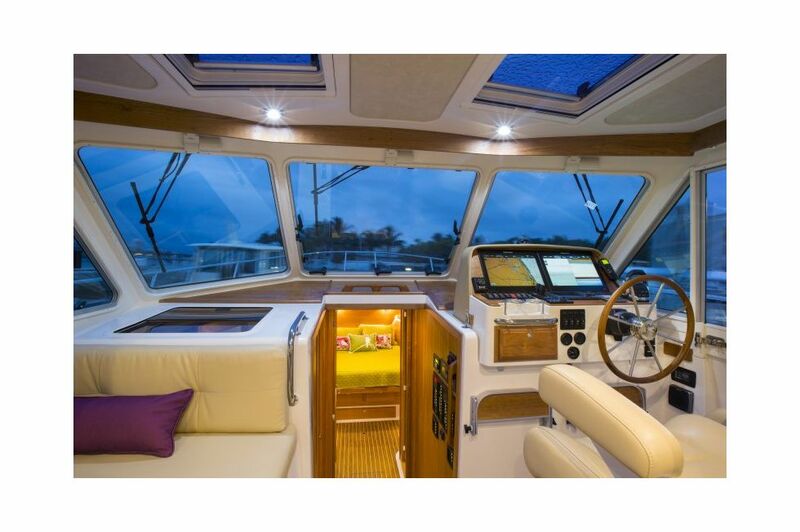 Her cockpit is open and welcoming, perfect for cool mornings and sunny afternoons.